When you guys get married, and retire to your solar-powered floating city, remember to reserve a small tree for me in the bio-dome gardens. I'm small and won't add much weight. We'll set you up with your own tree house. Acorn, walnut or pecan? 1) why so round? The earth isn't (I'm assuming no flat/hollow etc conspiracy here ) but why pics so round? Assuming the atmosphere gets "lighter," to use a science term, there should still be differences/variences with various gases, incoming objects, etc that would be interfered with by gravity, penetration, etc? But the pics look like a perfect sphere on the "space level" view? in most photos. To sell posters for co-eds? 2) what about the "half-life" the coach used to tell me about in science class about nukes and the Commies? You can't divide into "half" forever? Or can you? Zeno paradox stuff that brainiacs, supposedly "solved?" I guess "quantum?" Logically unsound (how you half divide into nothing? ), but, I guess that is the point, of that "fuzzy logic"or "quantum" stuff-at that point aren't you reducing to a new ager? Akaskic Records now? When you are looking at the earth from space you are seeing an object that is nearly a perfect sphere relative to its dimensions. The diameter is just under 8000 miles and because ofthe curvature you are seeing over 12,000 miles of surface area at the widest point. The difference at the equator is only about 27 miles than the difference pole to pole. The highest mountain is only 5 miles above sea level. The atmosphere is generally no more than 20-25 miles. The ratio between 5, 20-25 or 27 as compared to 8000 is practically nil. Same reason you can’t see the clouds move. The fastest winds recorded are in the neighborhood of 200mph. The earth is rotating at about 1000 mph at the equator. Compared to the surface distance that you can see at the equator (12,000 miles), If a cloud was big enough to see and could move from left to right at 200 mph it would take 60 hours for a cloud to move from one side to the other, but by the time it did, the earth would have rotated 60 hours meaning that cloud passed in and out of view several times. As far as number 2, I don’t think I can explain it better than this. Basically a single radioactive atom is unpredictable as to when it will decay, but if you group a million of the same type together, then the half-life is defined as the period when 500,000 of them will have emitted their radiation and become stable. If the half-life is 1 year, that doesn’t mean on day 365 500,000 atoms all of a sudden emit their radiation. It means by day 365, 500,000 are no longer radioactive. This holds true until you get down to a single atom that is radioactive. Once again, you cannot predict when that atom will decay but it will probably decay within the half-life. This doesn’t hold true for the half-life of drugs in your system. That is much more complex. So far as dividing in half forever, of course you can, mathematically. But in relation to 1/2 lives of radioactive substances, no you cant divide by 2 forever as there will be that last 3 atoms or 2 atoms that will decay into one. So far as the Soviets, certain atomic weapons do different things. Purpose built warheads can be built in "dirty" versions that leave long half-life radioactive products in a certain place for a long time. They are low blast highly contaminating. The mission for such a weapon would have been "area denial", or to keep humans out of a certain area. Such a mission was conceived by the Brits in Afghanistan, but was quickly shelved. During the Cold War NATO always feared that if they decided to roll East and attack the Soviet Union, that the Soviets would simply retreat back to Russia while in the process of detonating a wall of neutron bombs behind them so that NATO, if they wanted to continue their advance, was forced to attack in a highly radioactive environment. Kinda like dropping farts while walking quickly from someone who is following you. You escape while leaving your pursuer in an unpleasant environment Similar idea to a Dutch Oven, though the D.O. is designed as an act of sharing for your bedmate. The brianiac that helped clear up Zeno's paradox was Issac Newton when he developed calculus. I thought that was Liebniz? Thanks for all who answered my "questions," by the way. Guess it depends on who you ask. I was always taught that it was Newton. The press about the Falcon Heavy reminded me of a program one of my professors told us about in the late 70s. It was a rocket ten times more powerful than the Saturn V of the day, and was to have been water launched to prevent rocket efflux damage to fixed launch fixtures and attenuate blast noise. Apparently this rocket was being looked at in the 60s for a Mars project, but funding to the project got cut. This sounds familiar to anyone? I don't remember if the prof was part of the project, but I do know he had been one of von Braun's "Paperclip" rocket engineers. This is why an important payload wasn't included in the Falcon Heavy test launch. That’s a bit odd and misleading as there’s no way the vehicle has reached Mars. It takes 10 months. Cue the craft brewery full of drunk cheering white male millennials. Thanks LG, that must be it. I don't remember the prof calling the rocket by a name, seems like he used a numeric designation or acronym when he talked about it. The launch of that big rascal would have been something to see! This seems like a wicked cool design. I wonder how much any concern over the ongoing Cold War led to cancelling it? Probably the correct person was not paid. If only that were true. No surprise you’re confused. Apparently I wasn’t the only one who found his tweet misleading. Ok now go back to blathering your ignorance on the Trump thread. The largest liquid fuel engine to have been designed and have components actually tested was the Aerojet M-1. 7.72 meters high x 4.24 m wide (25.3 ft x 13.9 feet) with an ISP(vac) of 428 seconds. It's initial operating capability was for 1,500,000 lbs thrust, with an immediate growth upgrade availability of 1,800,000 lbs of thrust. An actual part of the M-1 tubomachinery. For comparison the Saturn-V F-1 engine was 18.5 feet tall x 12.2 feet wide. The increased ISP of the M-1 of 428 seconds to the F-1's 260 and 263 seconds was impressive. Of course it should be when switching from RP-1(USA rocket grade kerosene) to cryo Hydrogen fuels. There are proposals to use 2 F-1-B engines per booster as a "Advanced Booster" for SLS Block 2(130 tonnes) or 4 F-1's per SLS launch. The F-1B engines are to provide 1,800,000 lbs of thrust per engine, 3.6 million per booster, or 7.2 million pounds of thrust per SLS vehicle. In addition the SLS Block 2 Core Stage will continue to use 4 "new build" RS-25 engines, of which they are currently testing a new pogo-accumulator system that uses new Additive Manufacturing technologies. The new Liquid Boosters could loft 150 tonnes into LEO using 4 RS25 Core Stage Engines. Major work would be required for the mobile Launcher Platforms though. The SLS MLP is already scheduled to be over 1 million pounds overweight, and that's just for the Block 1b SLS vehicle. 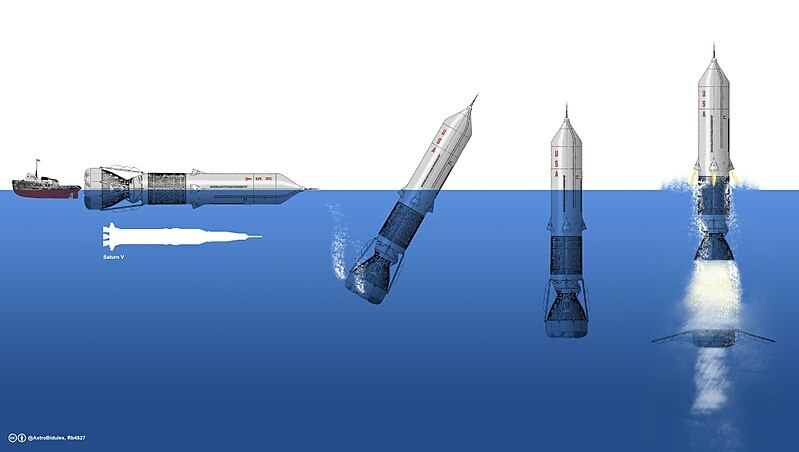 Since the RS-25 engines of the Core Stage(CS) no longer have to deep throttle like they did on STS(shuttle-down to 67%-72% RPL-rated performance level) during MAx-Q(the area of maximum dynamic pressure on the stack-which for STS was roughly the transonic region) and because the RS25 is no longer in a reusable role, they are expendable now, they will only be asked to throttle down to 80% RPL, but will use a higher 111% for nominal throttling. For STS, the nominal throttling was 104.5% for the Block II SSME, with 111% available ONLY for Contingency Aborts(literally do or die), and 109% for Intact aborts. 15 Main Flight Engines, 2 Development Engines and parts were saved from the Shuttle program, one of the Flight Engines ME-2062 was built in 2010 was never hotfired and ME-2063 was built in 2014. There are now 16 RS-25D(SSMEs which are now referred to as Adaptation Engines as they will fly with all new controllers and of sufficient numbers for 4 SLS missions. Rain from the 1st test of 2018, in Jan. 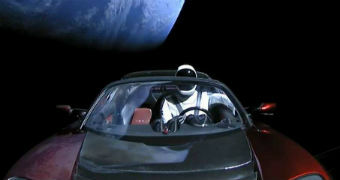 It is my belief that the Roadster was sent to Ceres on purpose as a gift, and that there are a shitload of humans on Mars, waiting for the story about "'Murica's Rockets" to become so widespread, that they can then come to Earth and live openly without having to carry some ridiculous sheepdip cover story about how they went to kindergarten at Sandy Hook. Laugh if you want. An alternative explanation for the mysterious lack of scientific progress in various fields--namely, antigravity and nuclear power--isn't any less inconceivable. Yeah, that's right: almost nobody. Surprising there’s no footage of the crash at he drone ship from a position off the drone ship. Lodge orders, is Lodge orders. Simple question: Why no stars? I'm sure the cam they're using is HD. The brightness of the moon's surface couldn't be occluding them. So, why no stars? In the early live streaming of the car in space, I did see stars, as the car turned and rotated... ? As to the ISS --- Camera exposure setting has something to do with being able to see the pinpricks of stars or not. In that ISS video, the guy assumes the bright object is the sun.... it's not... it's the bright moon with an exposure setting to see the stars. The center core crash landed as it ran out of pyrophoric fluid or TEB(Triethylborane) which is used to start/restart the engines. TEB was used by the SR-71/F-12/A-12/M-21 "blackbird" jet to start their engines on the ground, and to light the afterburners after coming off the tanker, or while lighting the afterburner while tanking(in the case of the SR-71 as it required a single afterburner to be lit in order to maintain tanker contact when tanking is almost complete)-the SR-71 was the only Blackbird that required any afterburner while tanking, due to its large fuel load compared to the others. 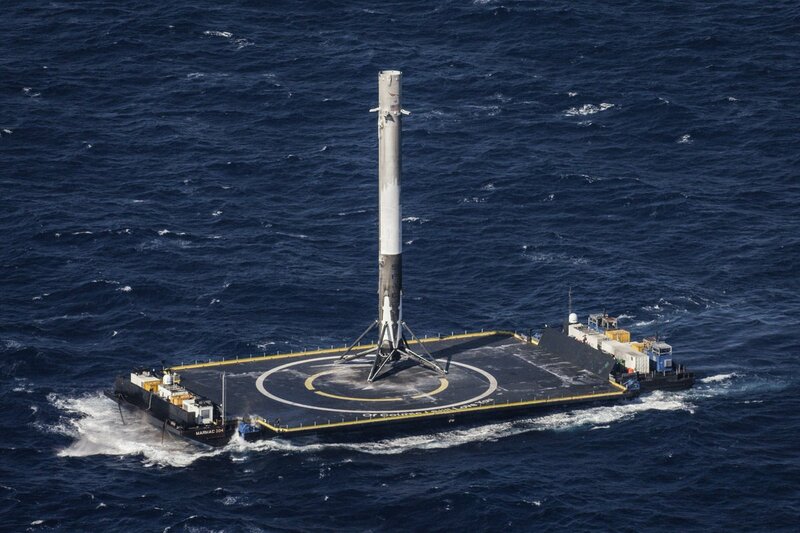 Elon will be packing more TEB for the next FH flight. Cool angle of SpaceX Falcon Heavy launch and landing of 2 outside boosters. Another angle of the boosters landing. Sick!